Huper Optik solves the problems of fading and glare, and damage to furniture. Most importantly it helps make occupants feel more comfortable in the room. Why is window film necessary if other window treatments are on the windows? The sun will often damage window treatments, such as draperies, curtains, blinds or shades. Window film protects all furnishings, including window treatments. Will window film darken the interior of my home? No. It will not darken the interior of a room. Huper Optik will maintain the natural color of interiors. The open appearance of a window can be beautiful. Does window film help reduce the heat in a room when the sun comes shining through? Yes. Up to 65% of the heat is rejected by Huper Optik. 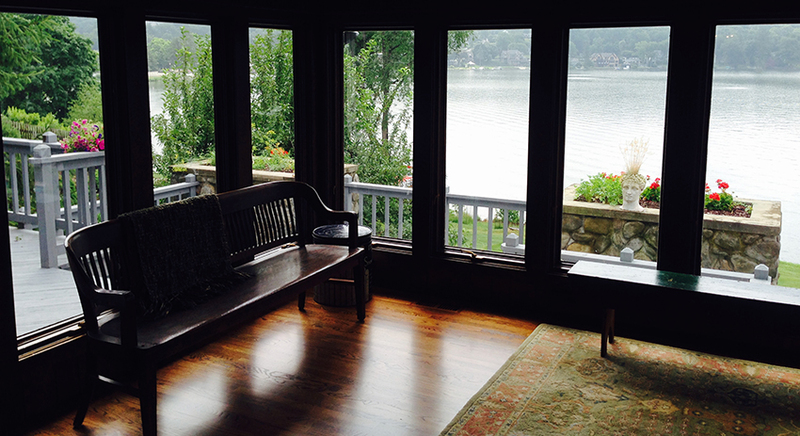 Clients need not be afraid of installing beautiful windows for fear of too much heat. While using a computer or watching TV, the glare of the sun can be disturbing. Will window film help reduce the glare? Window film does reduce glare and help eliminate eye fatigue. Family member who watch television will enjoy seeing screens that are virtually glare free. How does window film affect the decor or the room? Window film will not change the color of any of the furniture, fabric, artwork or accessories. Instead, the decor looks better because of reduced glare and fading. Is a warranty included with the installation of my window film? Yes. There is a lifetime transferable (to new owners) warranty for residential applications and a 15 year warranty for commercial applications.